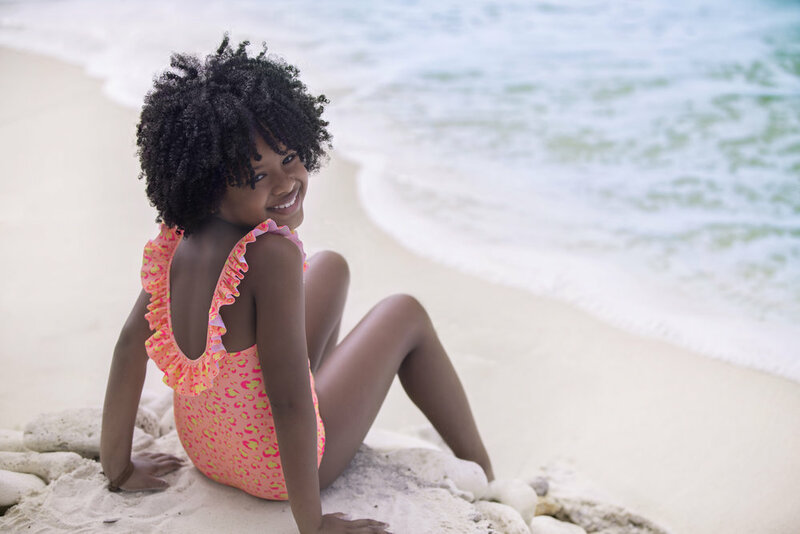 Sunuva is a gorgeous UV protective swimwear and beachwear brand for kids, inspired by tropical destinations and a passion for travel. From the spirit of Ibiza to the markets of India and tropical island getaways, Sunuva’s inspirations blend together to create beach-chic at its best. blocks out more than 97% of the sun’s harmful rays. Exciting new additions for this year include an extended baby collection, young teen styles, brand-new swimwear shapes, sibling stories, printed t-shirts for boys, mini me styles and even more of our fabulous accessories. A selection of new prints will be available for delivery in February 2019.